"Looking forward to bringing the Smack to Northern Invasion," said Godsmack's Sully Erna. It'll be awesome to share the stage with so many great artists." Gavin Rossdale of Bush said, "We are so excited to come play the Northern Invasion. 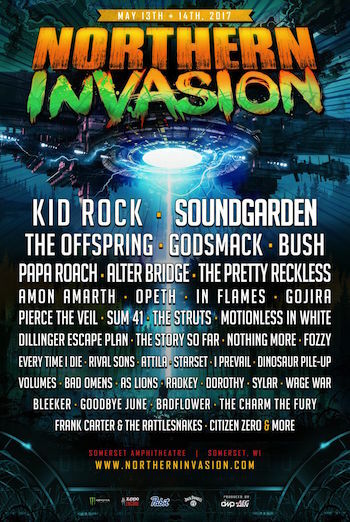 So many killer bands I want to see…starting with Soundgarden. We plan on bringing the fire." Northern Invasion is supported by our rockin' sponsors: Monster Energy, Zippo, Pabst Brewing Company, and Jack Daniel's. These partners, along with many others, will feature interactive experiences, artist meet & greets, and other unique fan engagement opportunities throughout the festival.